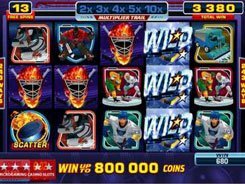 The 5-reel 243 ways to win slot from Microgaming will take you to an ice hockey rink where you will experience the thrill of a hockey game, great rewards and exclusive bonus features. Fittingly, the symbols are all about hockey featuring skates, team logos, players, an ice truck, a referee, etc. 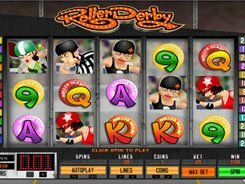 Before every spin you can set the number of coins per spin in a range of 1 to 10, and adjust a coin size from $0.01 to $0.5. From that, the minimum and top wagers are $0.5 and $200 accordingly. 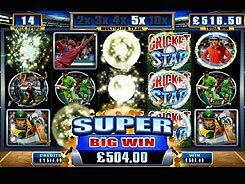 The first jackpot up for grabs reaches a staggering amount of x12,500 times a total bet – the equivalent of $2.5M when betting maximum! This mind-boggling award is granted for five scatters represented by the Flaming Puck symbol. 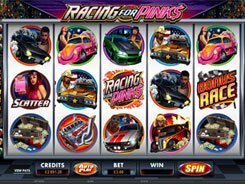 Payoffs for regular symbols are fairly generous, too, varying from 2 to 500 coins. 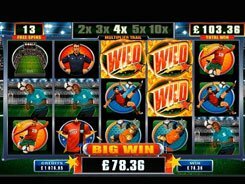 To add excitement to the gameplay, the slot has the Smashing Wild feature and the Rolling Reels feature that activates during the free spins game. 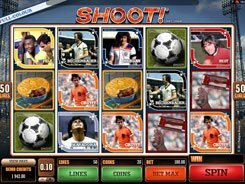 With this background, Break Away is a must-play for high-rollers, casual players and slot enthusiasts who are fond of Microgaming slots.